The William R. Jenkins Architecture & Art Library is pleased to present art by UH student Angel Castelán. Castelán is a second-year graduate painter. He is interested in the influences of culture and society and how they impact the perception and interactions of people with others and their environments. 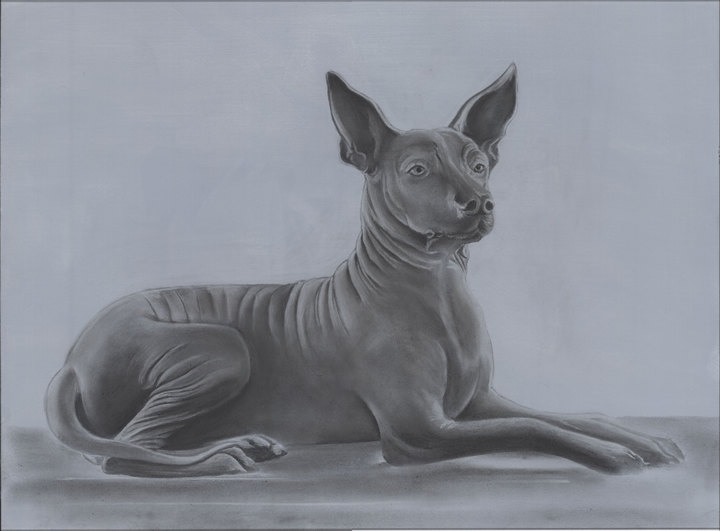 His exhibit, Drawn Superstition, draws upon his Mexican ancestry and its animal mythology. Angel Castelán’s art is on display in the William R. Jenkins Architecture & Art Library. Being of Mexican heritage, I grew up listening to all sorts of superstitions, and naturally, the majority of these were about animals. Brujas turn into lechuzas to carry you off at night. Don’t let the cara de niño bite you, or you’ll die. The urutau and black witch moths are harbingers of death; don’t let them get you. Thus, it is no surprise that certain animals are rejected or even feared to the point that they are killed when encountered. However, when these animals, who are either endemic or have ties that date back to the Aztecs, are pushed into being endangered or even extinct in the wild, it becomes a major issue. Through this series of drawings, I aim to capture these animals as they would normally be encountered; without the corruption of superstitious lens. 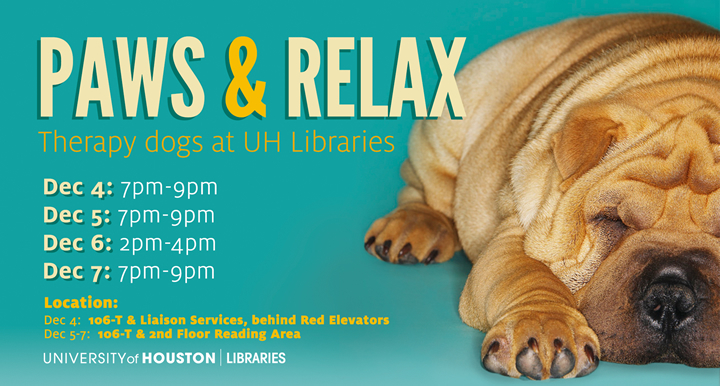 Stay up-to-date with UH Libraries news, services, and events. University of Houston Libraries and the UH Women and Gender Resource Center will co-sponsor the January 2018 book club, which is open to all UH students, faculty and staff, and alumni. 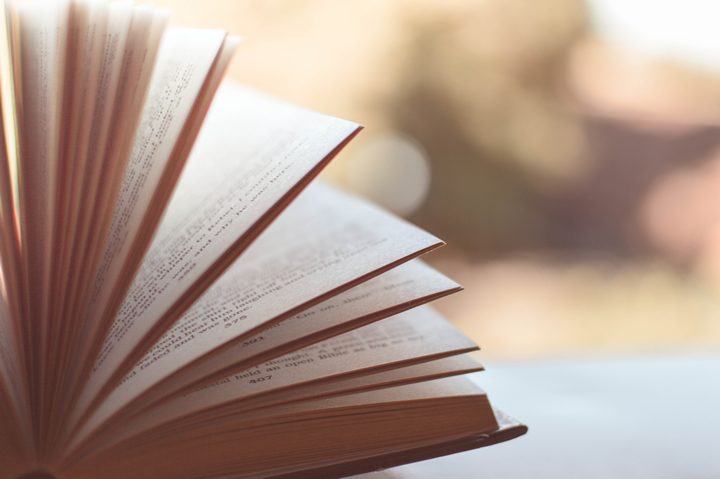 Readers are invited to gather at the Resource Center, located in the Student Center North Room 201, on January 12 at noon, to discuss Option B: Facing Adversity, Building Resilience, and Finding Joy by Sheryl Sandberg and Adam Grant. Newly promoted and tenured faculty and librarians at the University of Houston recently posed with their favorite books for the UH READ campaign. Launched in 2016 by dean of Libraries Lisa German, the campaign celebrates reading and supports the Libraries’ vision of a community nurtured by curiosity and creativity that drives lifelong learning and scholarship. 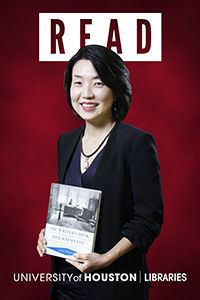 This year’s group builds upon an impressive photo display of faculty and librarians whose book selections represent a source of inspiration along their professional journey. These books are now available for check-out, and the photos appear on the first and second floors of the MD Anderson Library. The latest batch of photos will soon be added alongside the existing READ collection. In the meantime, they are available online. View a gallery of honorees and their book selections in the Promotion and Tenure Recognition Program online exhibit.